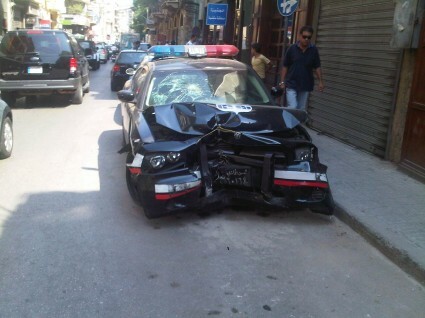 Accidents happen, but this cop car has been parked in Gemmayzeh since August 16! I can’t say I’m surprised that the car is in this condition. None of the cop cars in Lebanon are in good shape. Is it the minister himself who is replying?